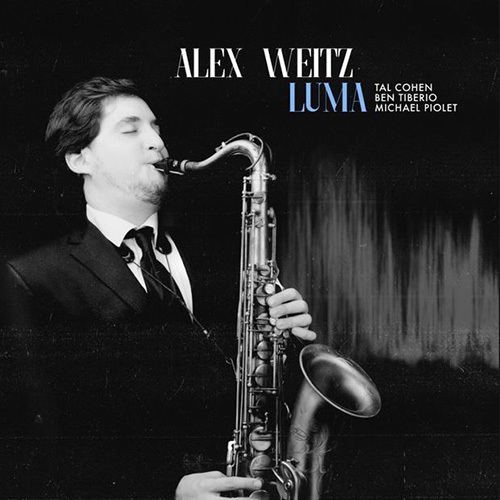 Saxophonist and composer Alex Weitz is a Miami based artist that has released his second album, Luma. Weitz composed all nine tracks on the CD, ranging from post-bop burners to intimate twentieth century classical inspired moments, to straight eight grooves. Weitz is joined by bassist Ben Tiberio, Tal Cohen on piano, and drummer Michael Piolet. Weitz’s playing and sound is an amalgamation of all that is good in modern jazz; full warm sound, a rich rhythmic vocabulary, strong improvised lines, and the ability to build a solo in intensity and musical sophistication to make a meaningful statement. His compositions traverse many feels and have multiple sections with plenty of room for each member of the group to make their voice heard. In 1961, Gunther Schuller defined Third Stream as “a new genre of music, located about halfway between jazz and classical music. Third Stream draws on classical as much as jazz, it is generally required that composers and improvisors be proficient in both genres.” Weitz is that, his compositions, although in a quartet format, have compositional weight and sounds that combine the two genres. His solos have all the chromatic and rhythmic drive of the language of jazz, but also contains development of themes and contain a sense of structure found in classical music. Weitz is continuing the quartet evolution of third steam, and that’s the short of it! Compositions that unfold in interesting ways and that are always full of musical gems that are easy to remember and enjoy. Weitz’s solos are full of persuasive blowing and easily pushes boundaries, and you'd be hard-pressed to find a saxophonist more dependable than Weitz for sheer melodic construction and development of ideas on the scene today! Weitz has a penchant for drawing on the European classical tradition for inspiration and the demand of a high level of group precision, which Luma has, is evident. The compositions are the focal point here, the nine tracks have interesting structure and spend time developing themes. In structure and tone, they are worlds away from the typical jazz tunes, and they inspire fresh intelligent statements from the soloists, particularly Weitz. Luma offers a glimpse of a new frontier of the evolution of the small group Third Stream music.